Explosion-proof exhaust fans, or hazardous location fans, provide proper ventilation for spaces where flammable gases, vapors, or dusts may be present. These fans are designed to be non-sparking, which minimizes the risk for sparks that could ignite potentially flammable materials. For example, in an environment with flammable gases, if a non-explosion-proof exhaust fan were to tip over and hit against another metal object, a spark would very likely be emitted. In the most at-risk locations, one spark is all it takes to cause an explosion. Thus, the entire fan must be constructed with non-sparking materials, including aluminum or copper fan blades, and an explosion-proof motor. An explosion-proof exhaust fan is a widely used piece of equipment in gas stations, chemical and metallurgy plants, and construction sites. Each explosive-proof fan is marked with a specific code that provides vital safety information. When selecting an exhaust fan, refer to the fan’s safety code. 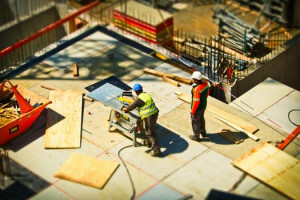 Higher-risk work spaces require fans that meet safer standards, and using the wrong type of fan can be potentially hazardous. “AEx” means Explosion Protection, and it is the American standard classification code (the Canadian code is “Ex”). In addition, the “t” refers to the protection concept code, the “IIB” is the gas group, and “T4” indicates the temperature code. Class I locations are those in which flammable gases or vapors could be present in the air in quantities sufficient to produce explosive or ignitable mixtures. These sites include paint spray booths, dry cleaning plants, and oil refineries. The facilities in this classification have combustible dust that may be present in varying hazardous concentrations. Among these locations are grain elevators and food powder processing plants. The risk for explosion in these facilities is greater than Class I, and the materials have lower ignition points. Facilities in this class carry the highest risk and include locations like textile mills, cotton production plants, and woodworking facilities. Class III hazardous locations contain easily ignitable fibers or flyings, but the concentration of these fibers or flyings are not suspended in the air in such quantities that would produce ignitable mixtures. 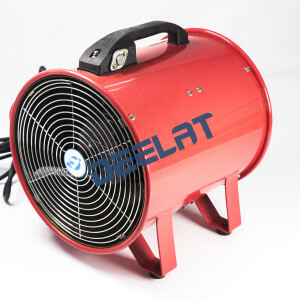 Deelat.com is your source for high quality, safety-rated explosion-proof exhaust fans. Browse our extensive inventory of ventilation equipment which are now available at the best prices today!